brandflakesforbreakfast: where's waldo? on Instagram. If you are enjoying following Hipster and NYC Barbie on Instagram, you'll likely be glad to know that another childhood character has joined the bunch. 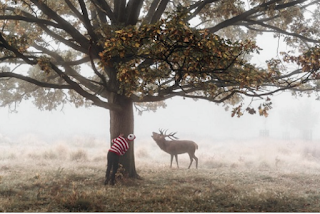 Where's Waldo - our red striped wearing friend, now has an Instagram feed that brings followers on adventures all over the U.K. Only the big catch is that you won't be searching for where "Wally" is in the picture - you're only meant to enjoy the beauty of his journeys. Personally we prefer the game of finding that little guy, but hey, we'll follow him anyway.